Are you a prosthetic wearer with moderate activity level who needs a lightweight knee joint, offering stance phase security in addition to harmonious movements? 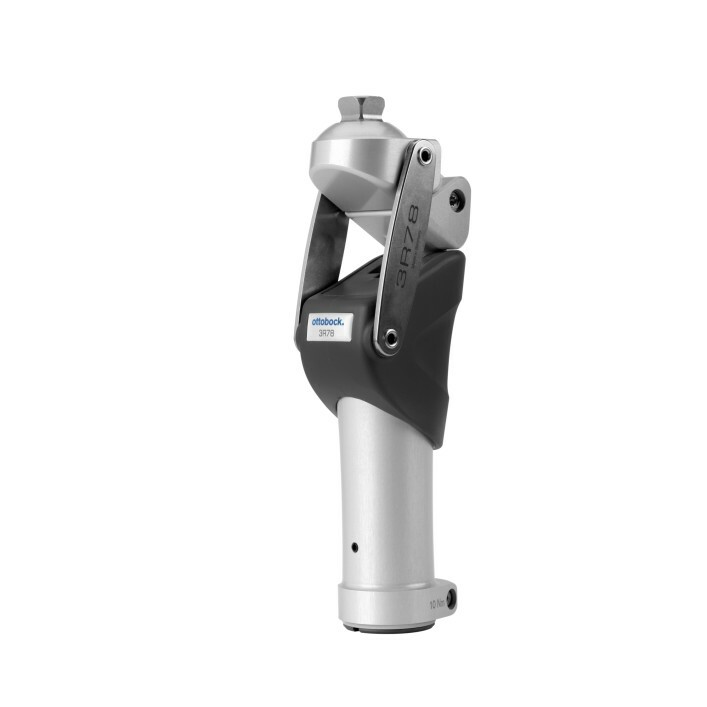 Then our robust 3R78 knee joint, which is designed to be resistant to dust and environmental influences and also features pneumatic swing phase control, is exactly right for you. Harmonious flexion and extension movements make it possible for you to achieve a gait pattern which comes very close to walking naturally. Here the joint geometry effectively shortens the prosthesis when you swing your leg through, resulting in more ground clearance. A high flexion angle of 150 degrees leads to greater freedom of movement. The knee joint also sets itself apart with adequate support for different walking speeds and is approved for a body weight of up to 100 kilograms. It can be individually adapted to your personal needs without extra effort. A quick reference guide makes the adjustment process quick and simple for your orthopaedic specialist.